In New England, we love summer. But, let’s face it: this year was a scorcher. In fact, this summer’s heat brought on some of the highest temperatures we’ve seen in years. Luckily, our smart home automation provides relief during any heatwave, with assistance from the app that controls it all: the Control4 App. This App receives well-deserved industry attention. In 2018, Top Ten Reviews voted Control4 as its “Number One Residential Home Automation Brand.” Reporters tested the App on the ease of installation, high personalization capabilities and ability to integrate with products from hundreds of top manufacturers. It’s simple to use. 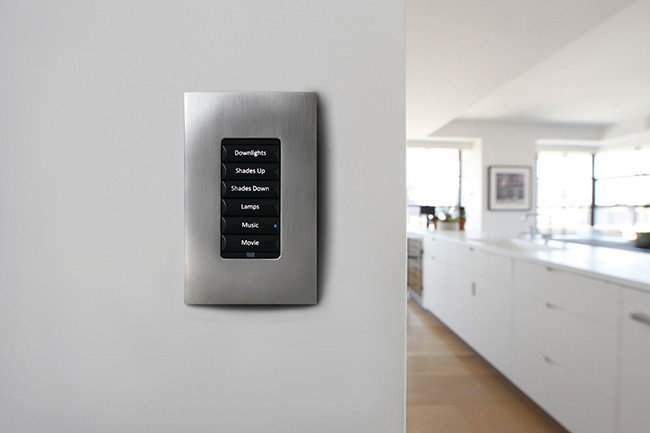 The Control4 App is made for iOS or Android mobile devices, so homeowners can easily command any device in their home with a simple click. You can automate your system preferences to go off without a hitch or manually adjust settings on your phone, it’s up to you. During summer months, this App allows climate and comfort to go hand in hand. Have you ever looked forward to relaxing after a long day of work and then walked in to a less-than-comfortable home? During the summer months, when the mercury rises outside, that usually means you need to decide between a muggy living room or a shocking power bill. Now, the heart of home automation during summer months is the integrated thermostat. With this feature, you’re able to change indoor temperatures based on outside climate, time of day and season. An occupancy sensor feature detects how many people (if any) are home, and adjusts the temperature based on this, decreasing energy waste while ensuring your home is nice and cool. Your smart thermostat isn’t limited to just controlling the AC — it also controls humidity levels. We all know during those sweltering summer months, humidity can be your biggest enemy. There is humidifying and dehumidifying capabilities that activate depending on the season, so sacrificing dollars for comfort is never a compromise. It really does the ‘thinking’ for you, making it one less chore to worry about during the steamy summertime. It’s called an integrated thermostat for a reason; this sophisticated thermostat integrates with most HVAC systems, no matter where you live. The updated thermostats can be fitted for geothermal, dual fuel and humidity control systems. Adding this technology to your home doesn’t mean a replacement of your current HVAC system, it’s an addition to your existing home. One of the best ways to cool down your home during periods of intense heat is to block rising temperatures. Enter: Smart Shading Solutions. Having heat pass through windows and curtains increases indoor temps, making your air conditioning system struggle to keep you cool. And as a result, increasing your monthly electricity bill. By automating your shades to close during the hottest times of the day, you can help drive those costs down. Smart shading is motorized, automated window treatments that are connected to your Control4 App for each customization. These motorized window shades can be integrated with the treatment you already own. It’s an easy set up during any smart home’s installation process. If you’re in the market for new window treatments, there are options you can purchase that come ready to install. These smart home shades come with the motor, hardware and window treatment all ready to go. Are Ultraviolet Rays Damaging Your Interior? Lowering monthly bills are great, but it’s not the only thing you’ll love about smart home shading solutions. Did you know that harmful Ultraviolet rays penetrate your windows every day and damage anything they come into contact with? This can range from the fabric on your sofa, rugs, artwork, flooring, etc. If left unprotected, all of this interior decor will fade over time. Protect your investments! The obvious solution is to use draperies to block the sun from your interior home. But, manually opening and shutting draperies in each room every day is not realistic. Having a home automation tool that does this at the precise time each day is your real solution. At night, smart shading is still at work. If enabled, this setting will draw the shades so cool air stays in, conserving energy and maintaining privacy. Are you a ‘fan’ of sleeping with a fan? Us too! Unfortunately, it’s always a battle finding the right speed before hitting the Zzz’s. There’s a Control4 App for that! 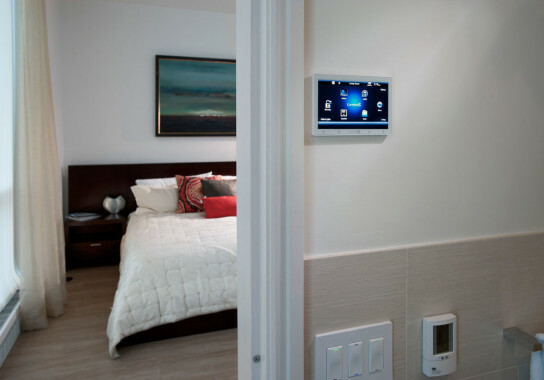 With home fan integrations, you’re able to set when fans turn on and off, allowing you to personalize each room. You can also select fan speed and switch on lights. Users can set different actions that trigger fans to turn off and on. For example, after your security system is armed, fans turn off. When the alarm system is disarmed, fans turn on. Another trigger for fan automation is when outdoor temperatures rise. Fans turn on even when you’re not home so indoor air circulates, making it cool just in time for when you get home. Smart fans are also made for the exterior of your home. Whenever you’re relaxing on the patio or entertaining guests, a smart fan will automatically respond by turning on and adjusting its speed for perfect comfort. This is another energy efficient feature that makes home automation great. Did you know that the average U.S. household will see a spike in their electricity bill of up to 15% in hot summer months? Yikes! What makes all the capabilities of the Control4 App great is that it performs it all in the most energy-efficient way possible. In fact, by using a smart thermostat, you can save up to 15% on the cost of cooling your home. If you’re curious to see your actual air conditioning cost savings, use this thermostat savings calculator. By implementing the temperature recommendations into your smart thermostat, you can save serious money each year while helping conserve energy. Talk about a wise purchase! Now that summer is almost over, it’s time to think about how your family will beat the heat next year. A smart home installation takes between one to three weeks to install, depending on the types of automation you choose. It’s easy to get up and running once you decide on which systems make sense for your lifestyle. If you’re prepping for the winter, home automation will help conserve energy, reduce waste and increase home heating efficiency. Control4 App’s integrated thermostat, smart shading solutions and fan control system can all be used in the wintertime to keep warmth in and save thermal energy. Automating your home isn’t a luxury (although, it may feel like it at times), it’s an investment in your home. Adding smart home automation makes your home more sellable, energy-efficient, and comfortable to live in during those long summer days. 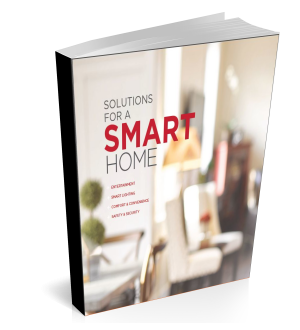 If you have questions about what automation systems could work for you, contact us to setup a free consultation or Download the Smart Home Guide.